Robert Rauschenberg was “irrepressibly prolific” (as the New York Times put it in its obituary for the artist) so it’s understandably difficult to know where to begin in examining his work. Even narrowing to a single decade doesn’t make it a manageable task. 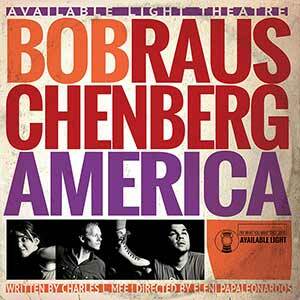 So, let’s get crass for a second and pick just one among Rauschenberg’s many accomplishments. 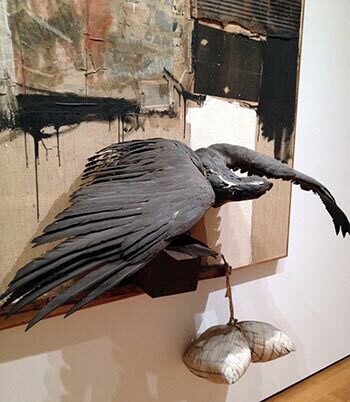 “Canyon,” created in 1959, features a stuffed bald eagle attached to a canvas. This is a good place to start. This “combine,” or mixed media work, was recently valued at a price of $0 thanks to the prominently featured stuffed bald eagle affixed to the canvas. 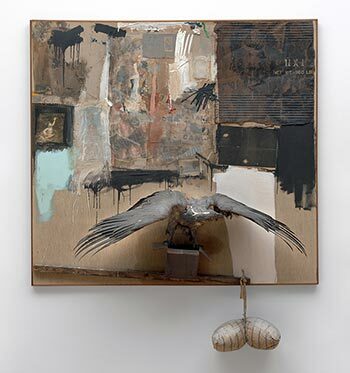 Since the prized bird is under federal protection, the heirs would be committing a felony if they tried to sell Rauschenberg’s masterpiece. In 2007 the plot of the unsellable artwork thickened when the Internal Revenue Service slapped the Sonnabends with a bill for $29.2 million. The IRS claimed that the Rauschenberg possessed a fair market value of $65 million and the owners were required to pay the appropriate taxes, reported The New York Times. So, faced with a cumbersome painting that was not only illegal to sell but insurmountably expensive to keep, it makes sense that the Sonnabends decided to donate the work to MoMA. As part of a settlement reached between the IRS and the former “Canyon” owners, the tax assessment was dropped in exchange for the family’s agreement to donate the work to a museum where it can be publicly exhibited.